Showing 1 - 20 of 156 results. 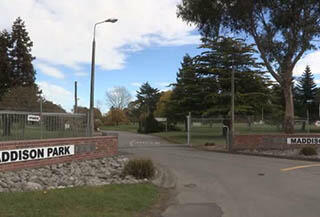 A PDF copy of pages 348-349 of the book Christchurch: The Transitional City Pt IV. 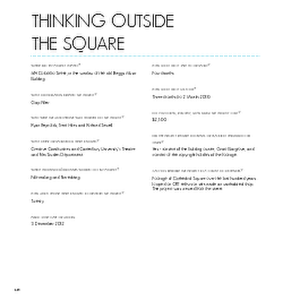 The pages document the transitional project 'Thinking Outside the Square'. Two men converse on the site of Gap Filler's "Film in the Gap!" project. Behind them, local band The Captain Willis Trio set up for their performance. The site of Gap Filler's "Film in the Gap!" project seen through the wire fence that enclosed it. 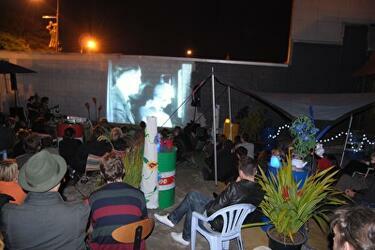 Films were projected onto the rear wall of this Mitre 10 store in Beckenham. Local musicians also performed for the audience. 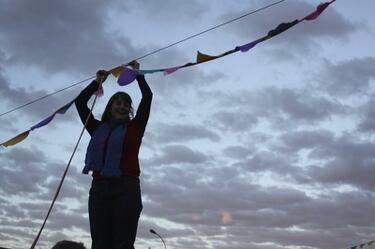 Gap Filler Creative Director, Coralie Winn, hanging bunting at the site of the "Film in the Gap!" project in Beckenham. 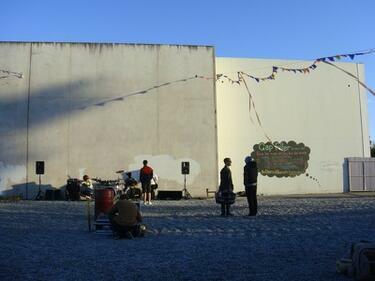 A musician's shadow projected onto the rear wall of Mitre 10 at Gap Filler's "Film in the Gap!" project. 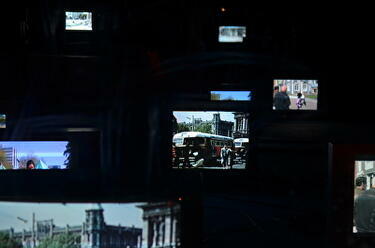 A photograph of the 'Thinking Outside the Square' installation in the window of the Beggs Music building on Colombo Street. A video about the studio in Templeton where the earthquake drama series "Hope and Wire" was filmed. The video includes interviews with Jordan Mauger, owner of the studio, and Chris Hampson, co-producer of the series. A photograph of a chalkboard painted on the wall of a building. 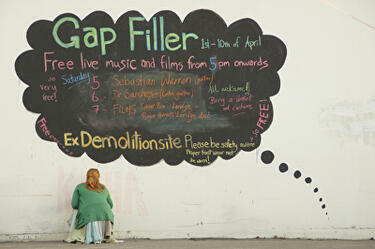 The chalkboard advertises upcoming Gap Filler events. A woman is chalking a message on the wall. 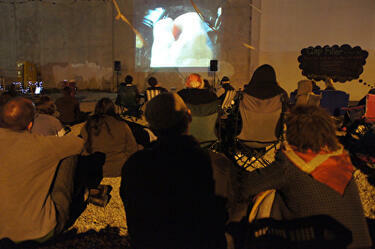 A photograph of people watching a film projected on the side of a building. 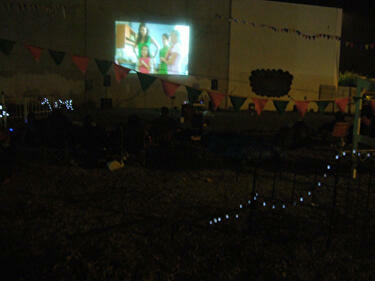 The outdoor cinema was part of Gap Filler's 'Film in the Gap' project. 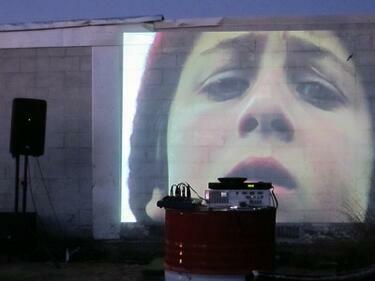 A photograph of a film being projected on the side of a building. 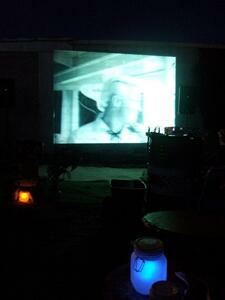 The outdoor cinema was part of Gap Filler's 'Film in the Gap' project. 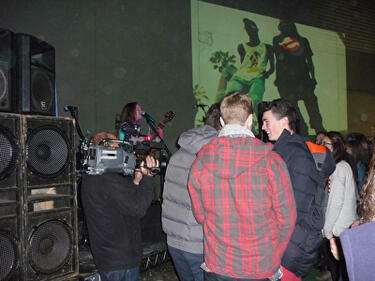 A photograph of people watching a film projected on the side of a building. 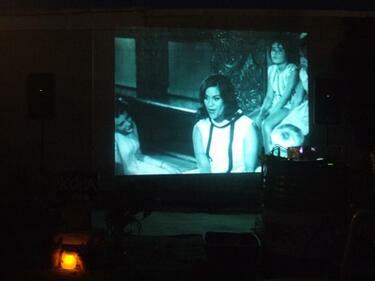 The outdoor cinema was part of Gap Filler's first project. A PDF copy of pages 158-159 of the book Christchurch: The Transitional City Pt IV. 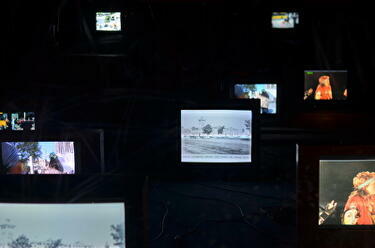 The pages document the transitional project 'Film in the Gap'. A photograph of a film being projected on the side of a building. 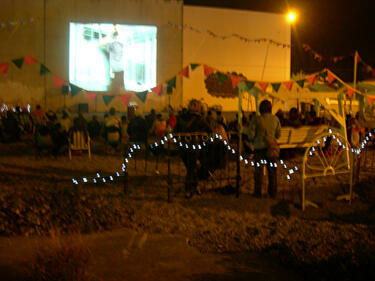 The outdoor cinema was part of Gap Filler's first project. 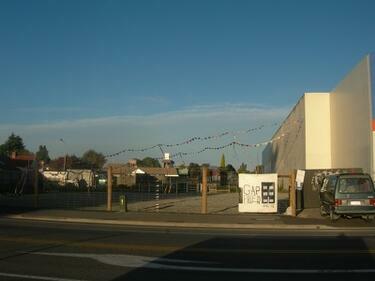 A PDF copy of pages 184-185 of the book Christchurch: The Transitional City Pt IV. 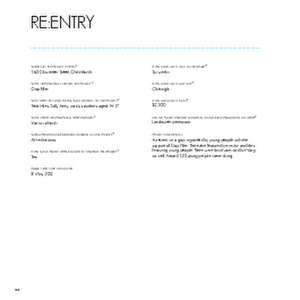 The pages document the transitional project 'Re:Entry'. 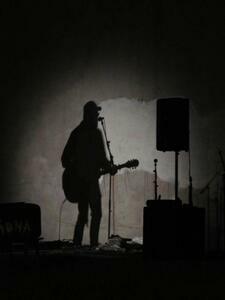 A photograph of a musician performing at the Re:Entry event. 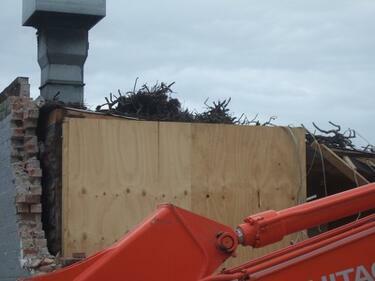 The partially demolished Himalayas Indian restaurant on Colombo Street, next to Gap Filler's first project at 832 Colombo Street.